In December 2015, World Land Trust (WLT) funded the rehabilitation of 182 turtles after they had been rescued from the wildlife trafficking trade in Vietnam. A report from the Asian Turtle Program (ATP) and Turtle Conservation Centre (TCC) confirms that the turtles recovered well and they have also had great success in the breeding program for the Endangered Keeled Box Turtle, one of the rescued species. 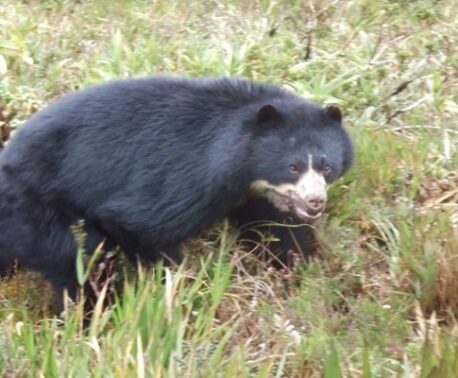 The species (Cuora mouhotii) is classified by the IUCN Red List as Endangered due to exploitation by the wildlife trafficking trade and habitat loss. Conservation efforts have focussed on protecting wild populations from poachers and rescuing turtles found in trafficking raids, but so far rescued individuals have been difficult to maintain and breed in captivity. TCC have reported that 2016 was the best year to date for hatchling success in their Keeled Box Turtle Breeding Program, where they breed rescued individuals to strengthen the captive population looking forward to reintroduction. TCC worked with the Asian Turtle Program (ATP) of Indo Myanmar Conservation (IMC) to build a special incubator chiller in 2014, to keep the eggs cool in the summer months in Vietnam. TCC told WLT, “Even when room temperatures can reach above 30°C we are able to keep the eggs at between 25-28°C, which is very important as high temperatures will kill the eggs. Monitoring of the temperature and humidity is still so important in the incubator to make sure they stay acceptable for the species. 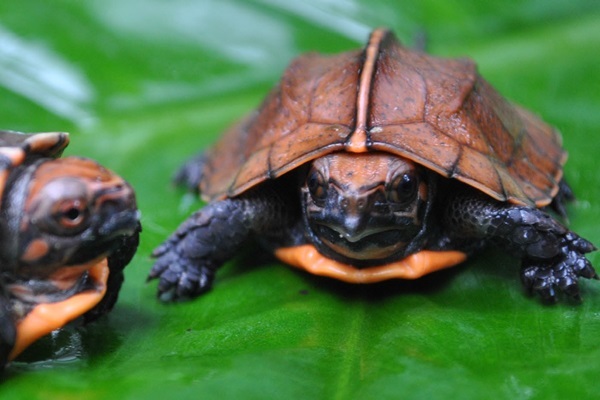 Even though Keeled Box Turtle has a wide geographical range with numerous isolated populations, it has suffered greatly due to collection for the pet trade and human consumption. Reports of confiscations of hundreds of turtles and other endangered species in Vietnam are frequent, the last report of 105 Big-headed Turtles (Endangered) and 149 Sunda Pangolins (Critically Endangered) being transported to the Mong Cai border in a refrigerated truck. TCC reports that caring for the starved and sick individuals which have been rescued in these operations is long and costly. With support from charities such as WLT, Bristol Zoo, Zoological Society of London (ZSL), Wildlife Conservation Society (WCS), Cleveland Metroparks Zoo (CMZ), the Turtle Survival Alliance (TSA) and the National Capital American Association of Zoo Keepers (NCAAZK), the centre can continue to care for rescued individuals. This does not tackle the poaching problem on the ground, and as reintroducing these endangered species to their habitats is incredibly difficult (and it is impossible to know which area they were taken from to release them to their natal habitat), the work of wildlife rangers patrolling their habitats, deterring poachers and removing snares, is vital to protect wild populations. WLT funds the salaries of two rangers in Vietnam, Dang Hieu and Quoc Hieu, who patrol Khe Nuoc Trong to protect Vietnamese wildlife from poachers. Their work is vital to protect the animal species in Khe Nuoc Trong from poaching for the wildlife trade. WLT supports the salaries of numerous rangers in projects around the world through the Keepers of the Wild appeal, helping to protect habitats from loggers, vulnerable species from poachers and maintaining reserves. 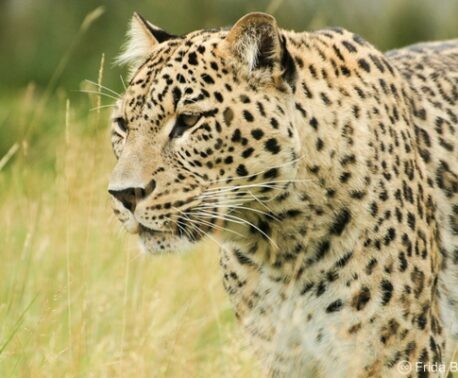 Their work is vital for the long-term conservation of habitats, and your donation could help protect Endangered species around the world.